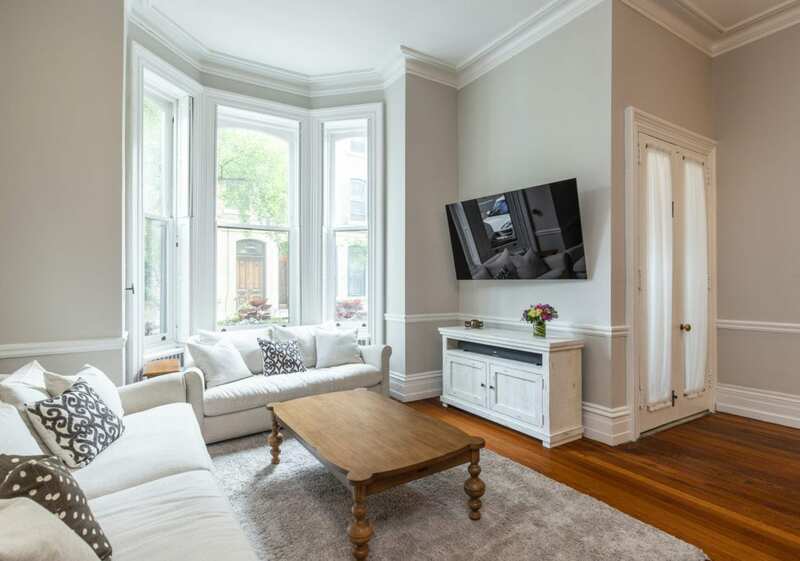 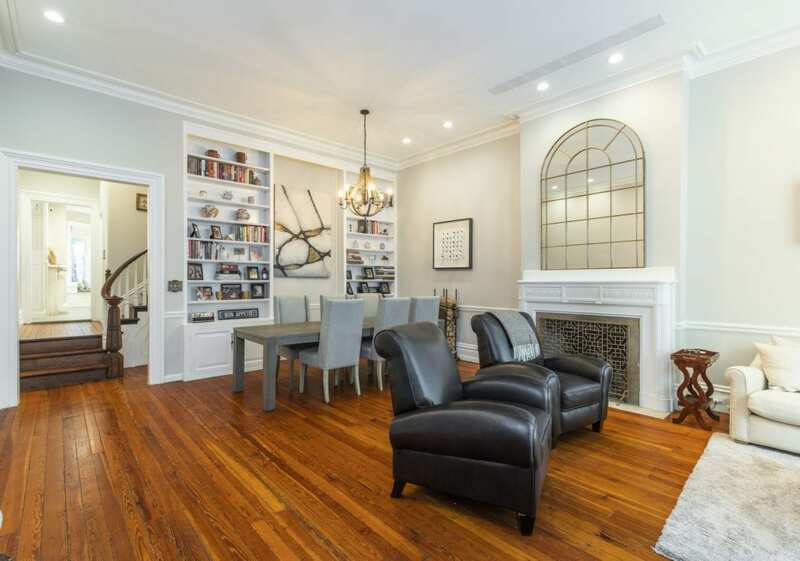 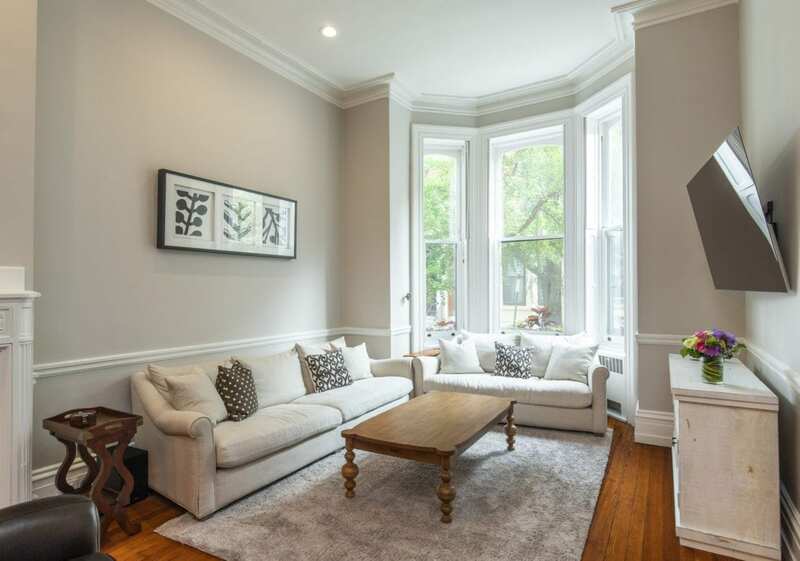 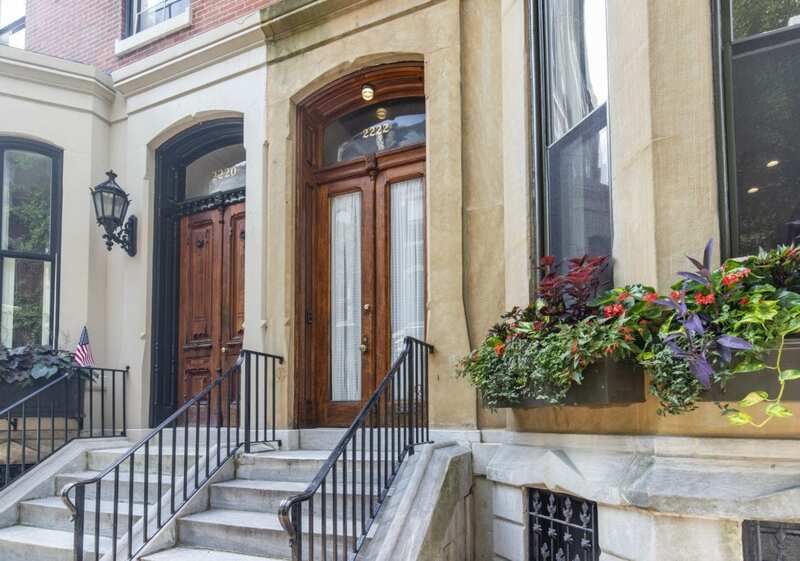 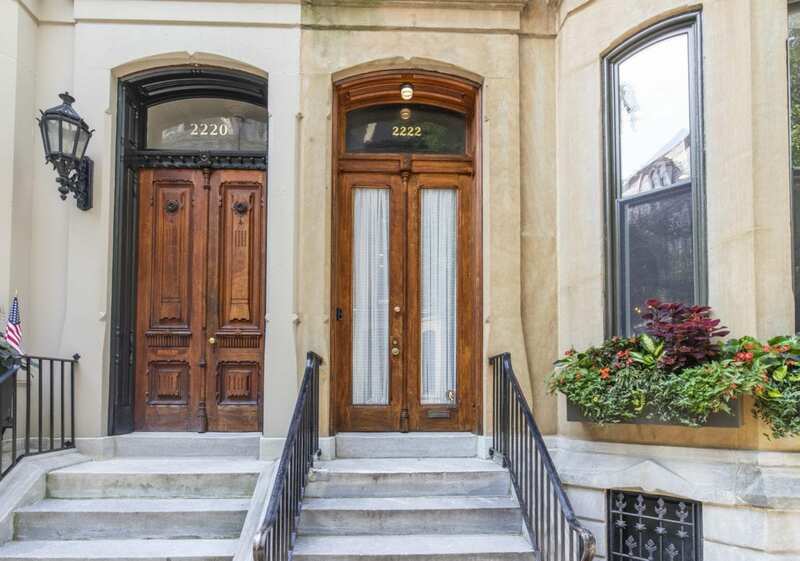 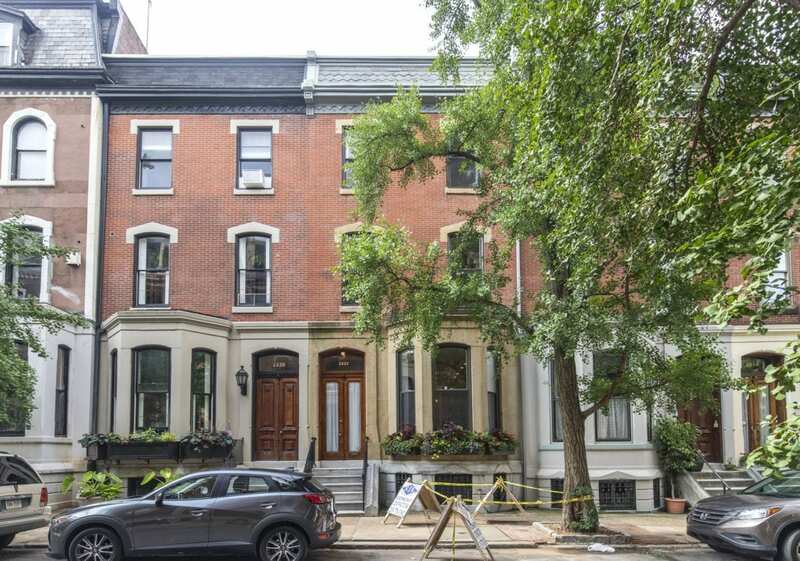 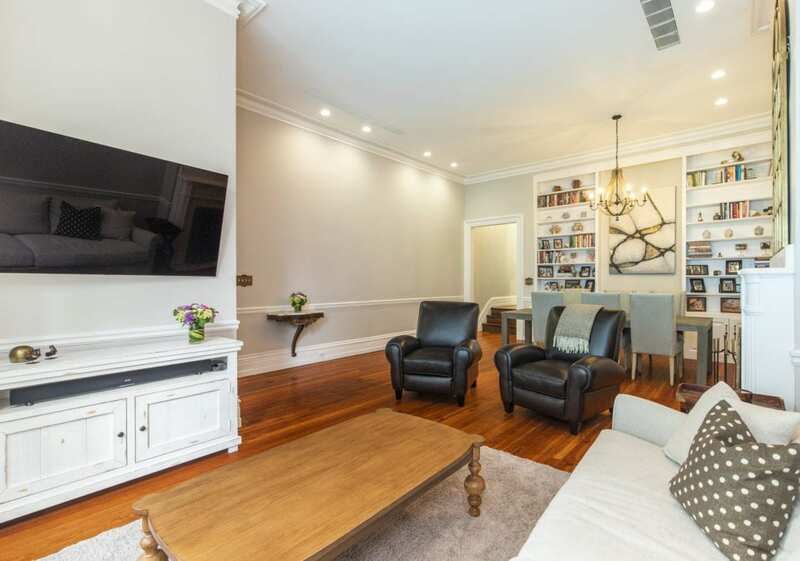 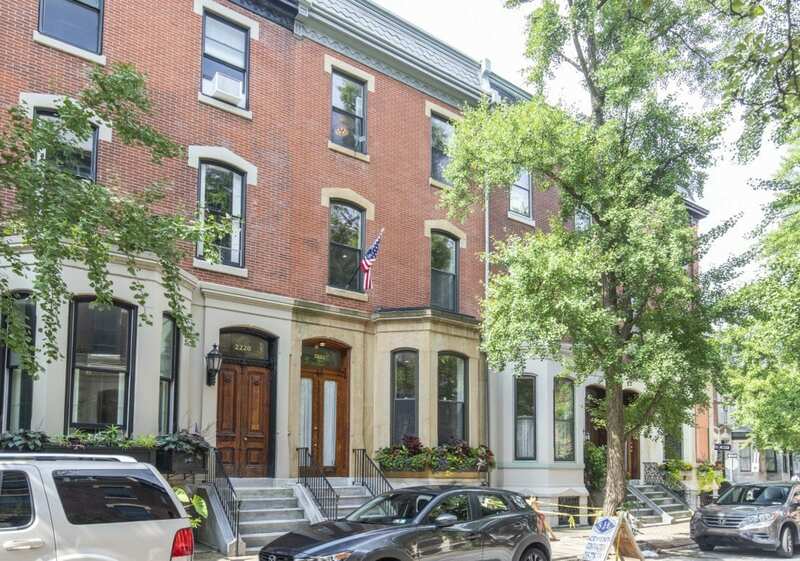 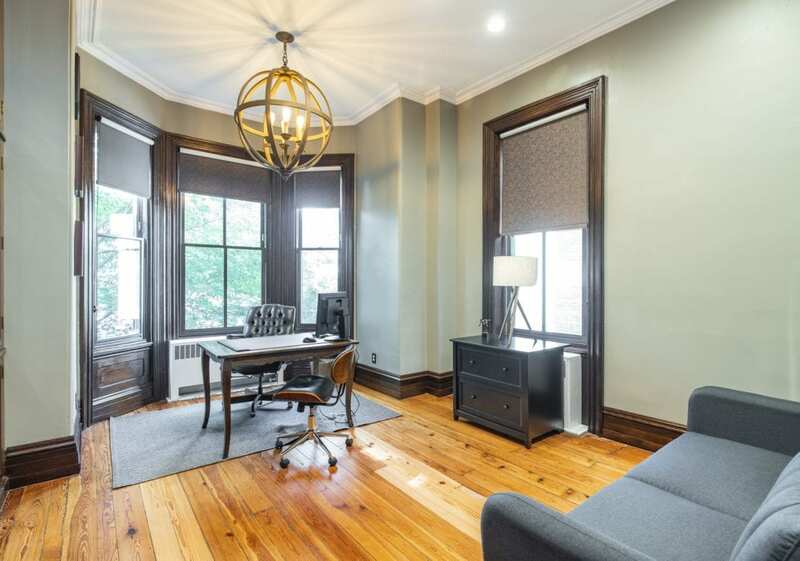 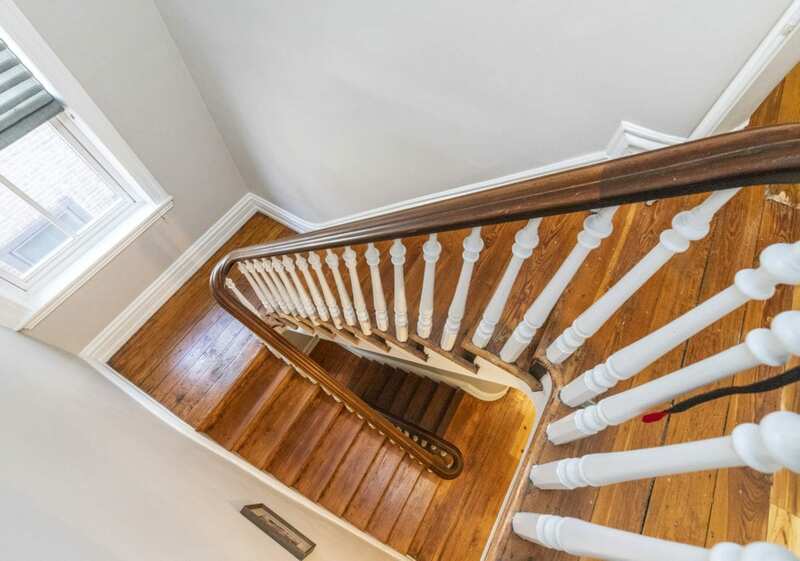 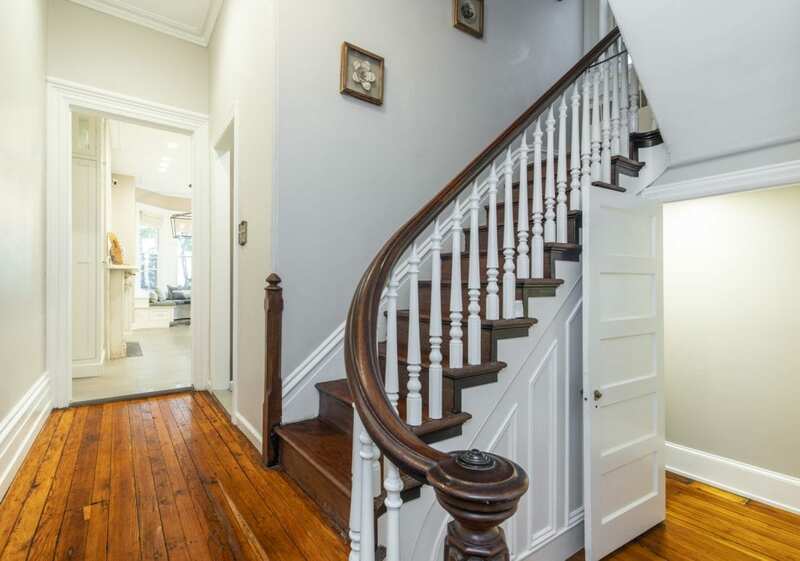 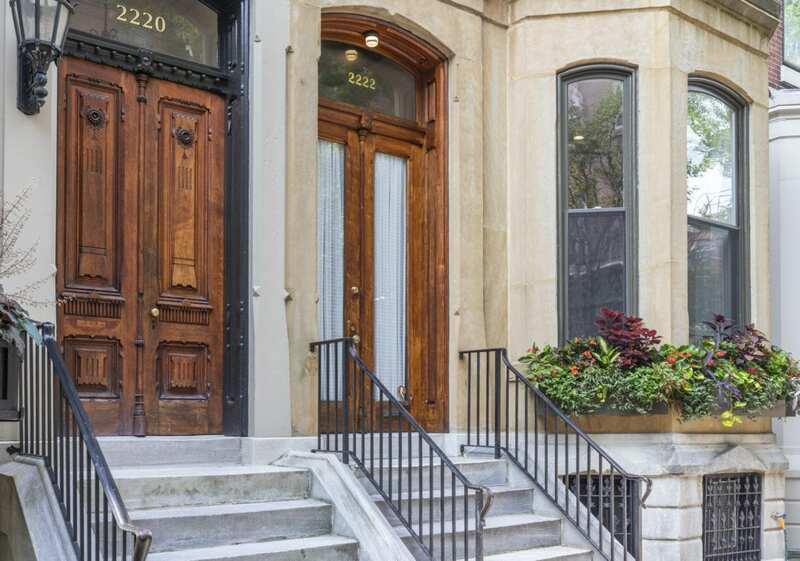 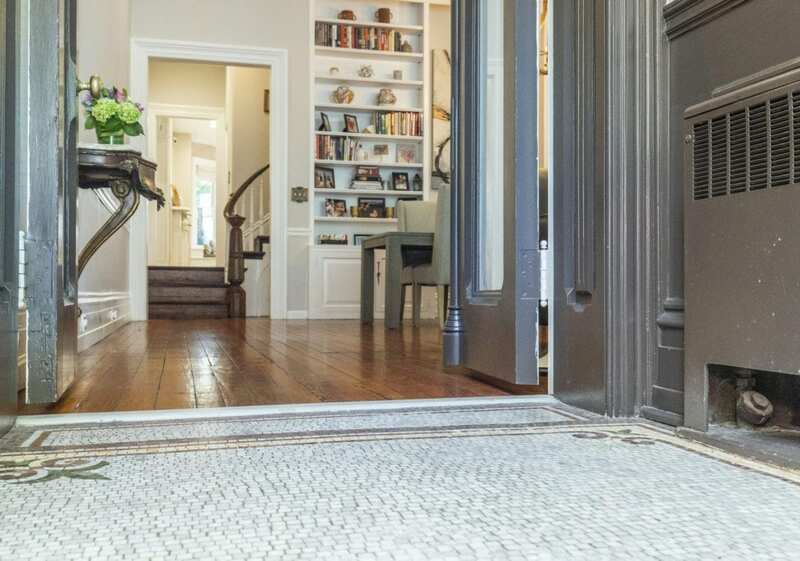 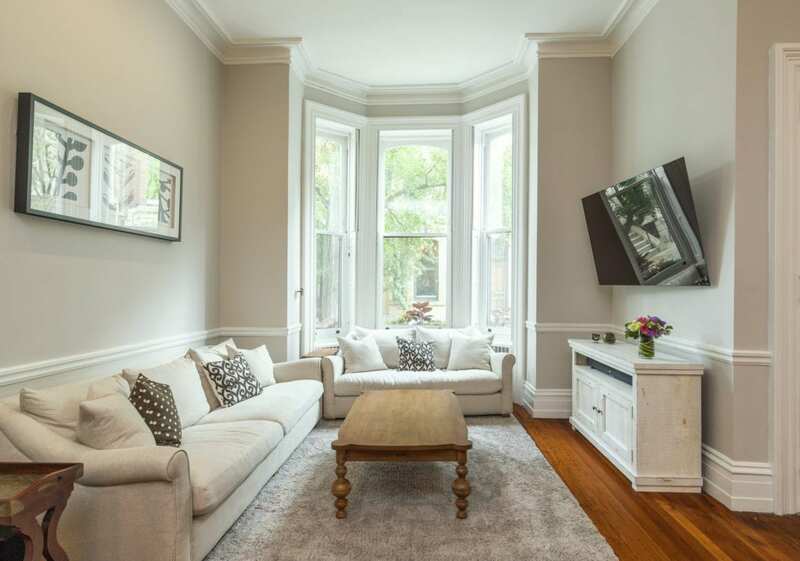 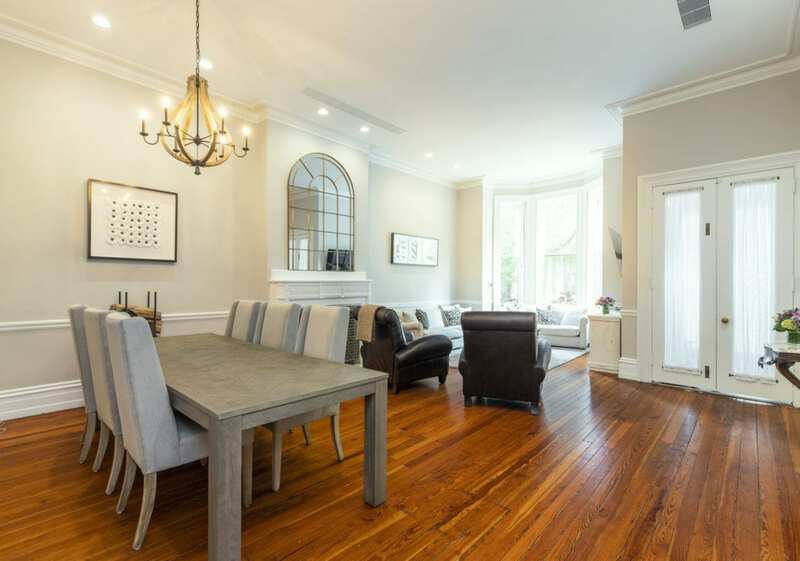 Enter through a grand foyer into a spacious living room/ dining room with high ceilings, original heart pine floors, built-ins and a wood burning fireplace with original marble mantle. 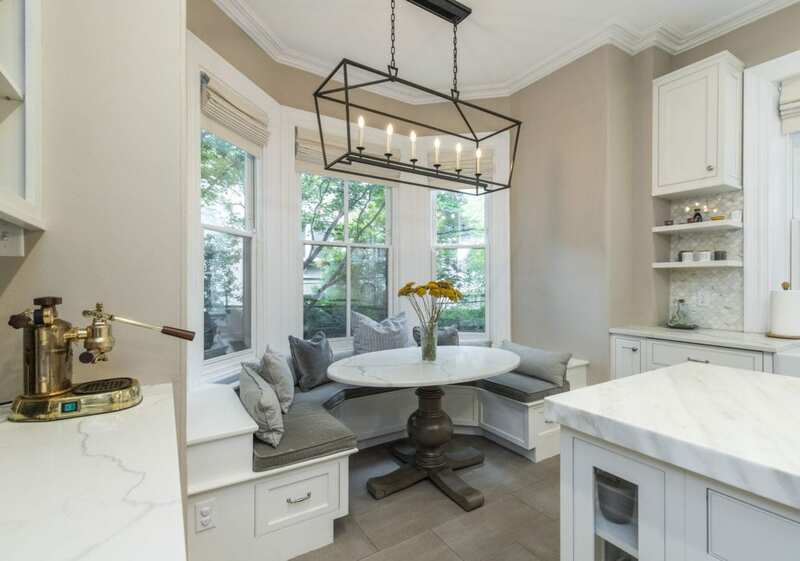 Just beyond the living area is the kitchen – a dream for your inner Barefoot Contessa. 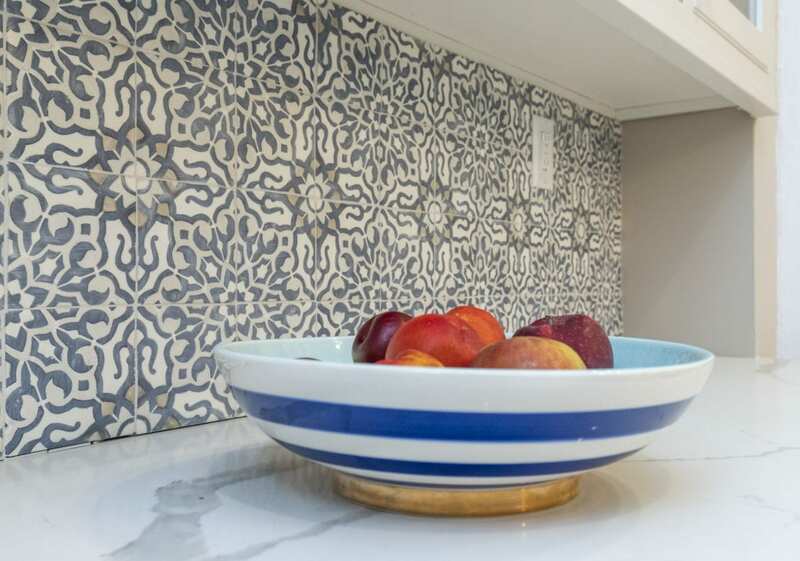 The Italian single-slab Calcutta marble island is a standout ? 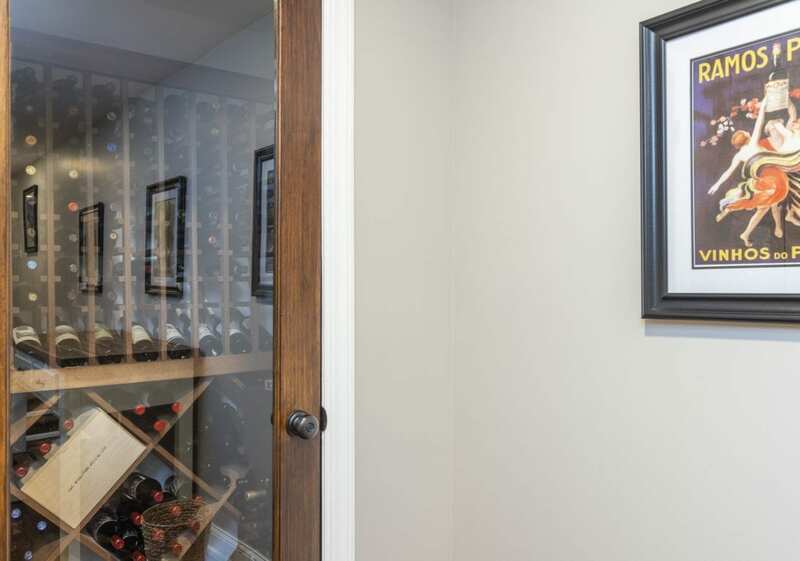 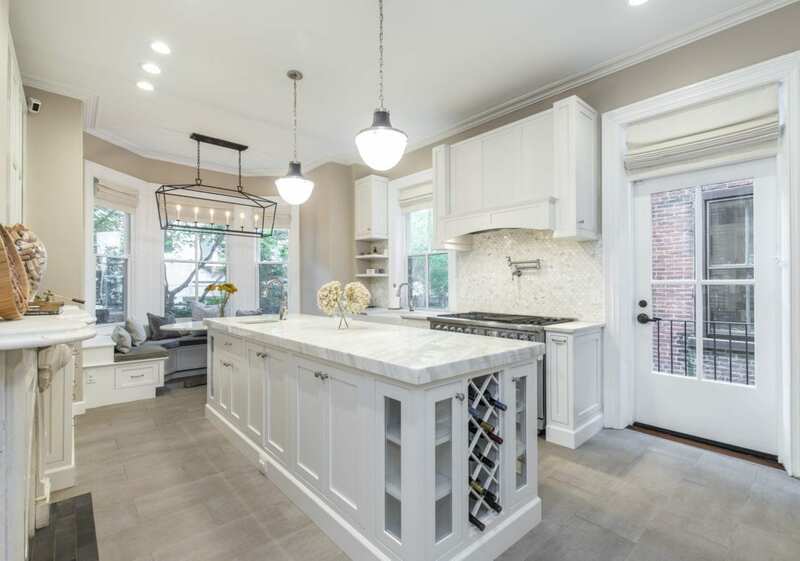 with custom cabinetry & wine racks built-in, plus prep sink. 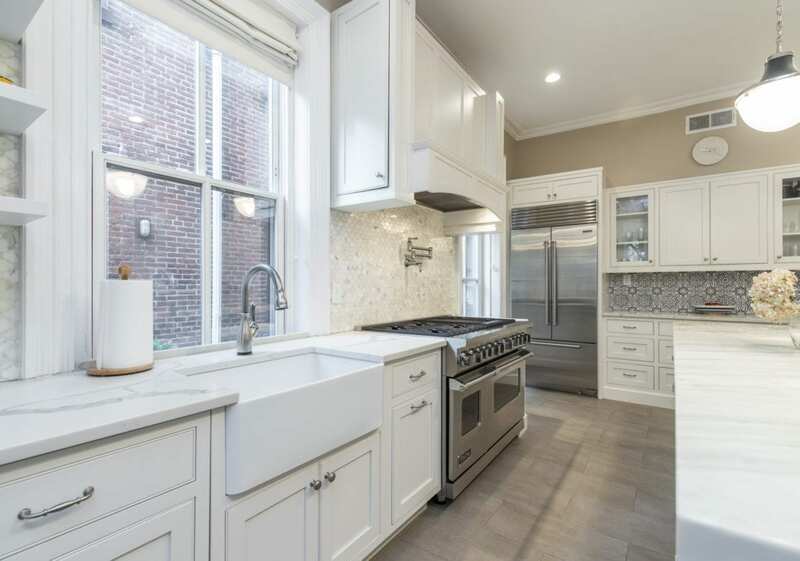 The appliance package is of the highest-end ? 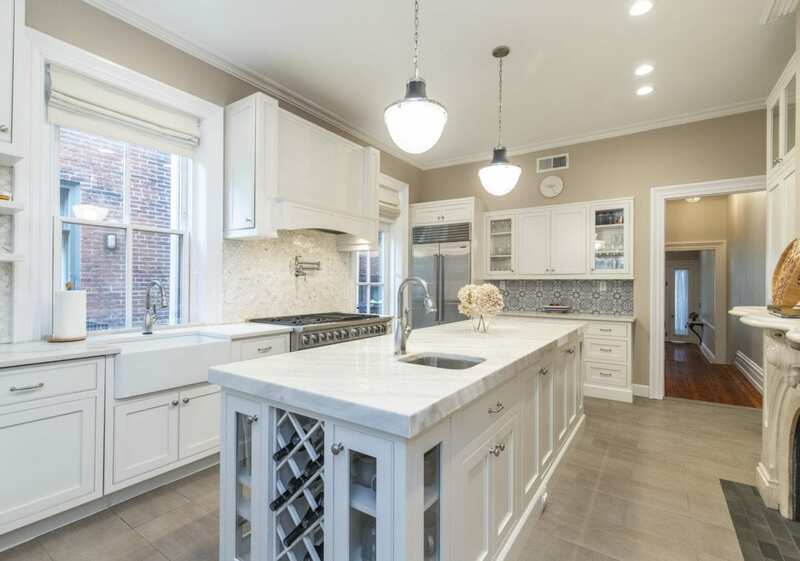 Sub-Zero refrigerator, 48” Viking Commercial range with stove-top faucet and Bosch dishwasher. 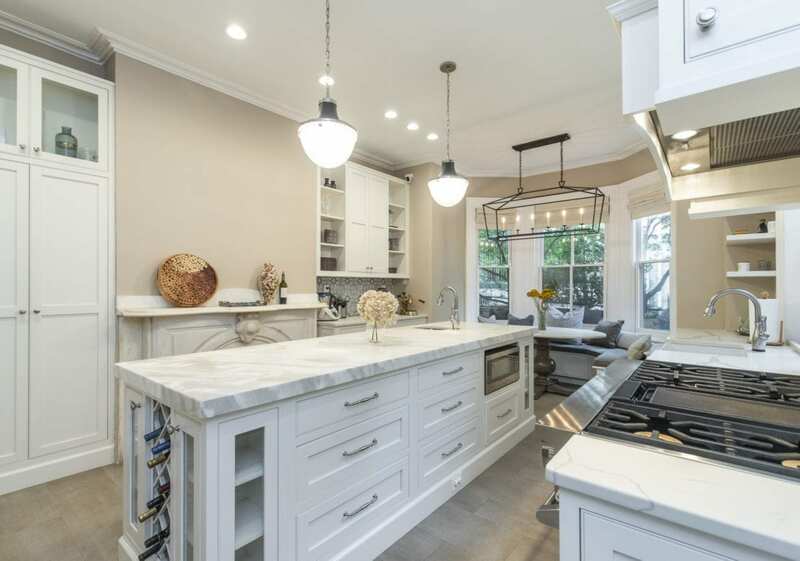 Surrounding the island are bays of custom cabinetry with quartz counter-tops and a wood-burning fireplace with original marble mantle. 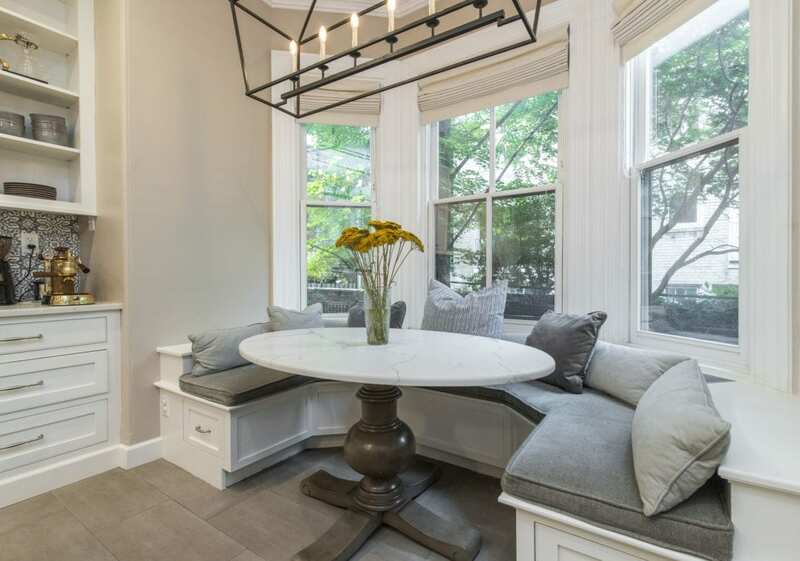 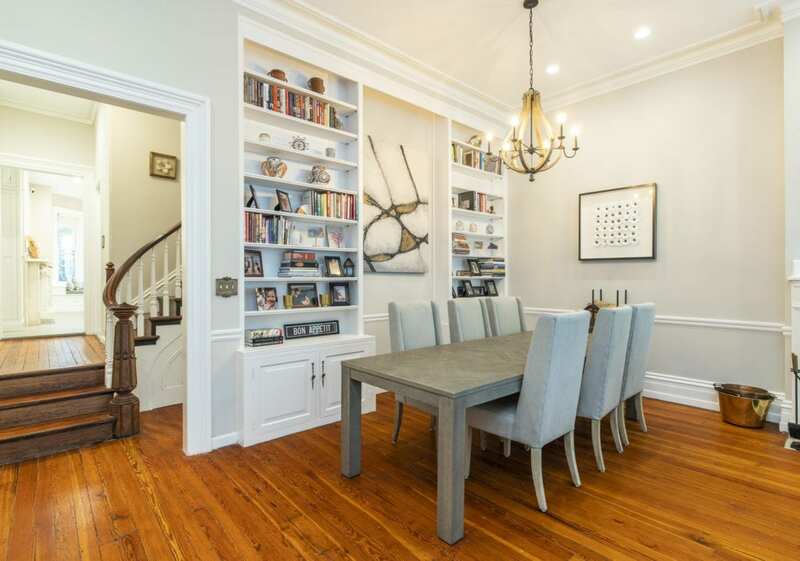 Tucked in the back of the kitchen is a custom banquette for eat-in dining ? 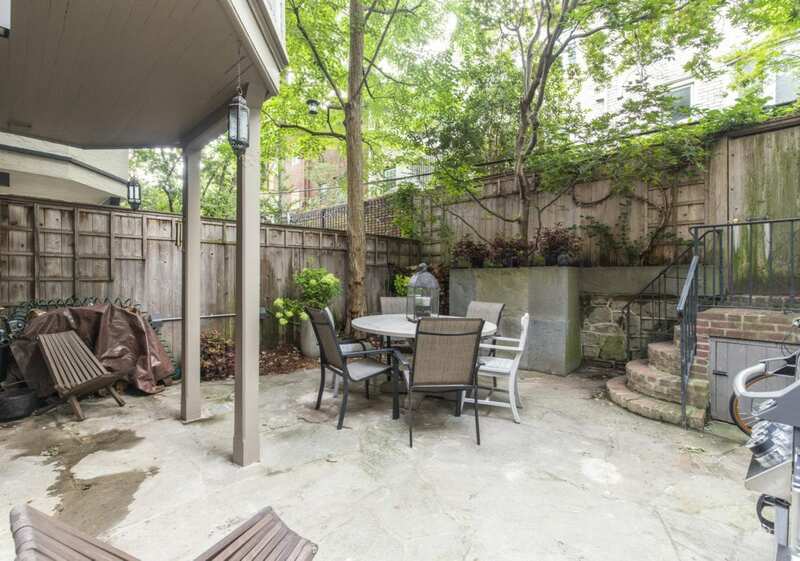 all overlooking the lush garden. 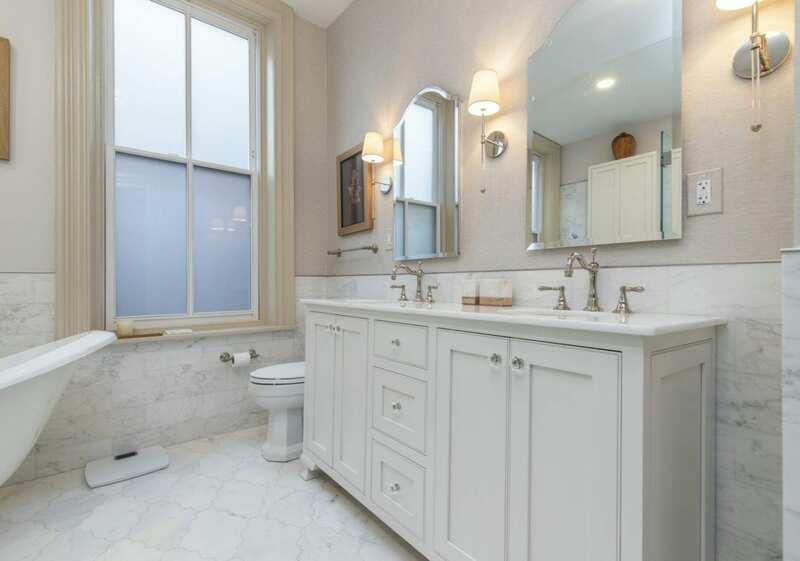 Also on this level is a beautiful powder room with Spanish tile flooring. 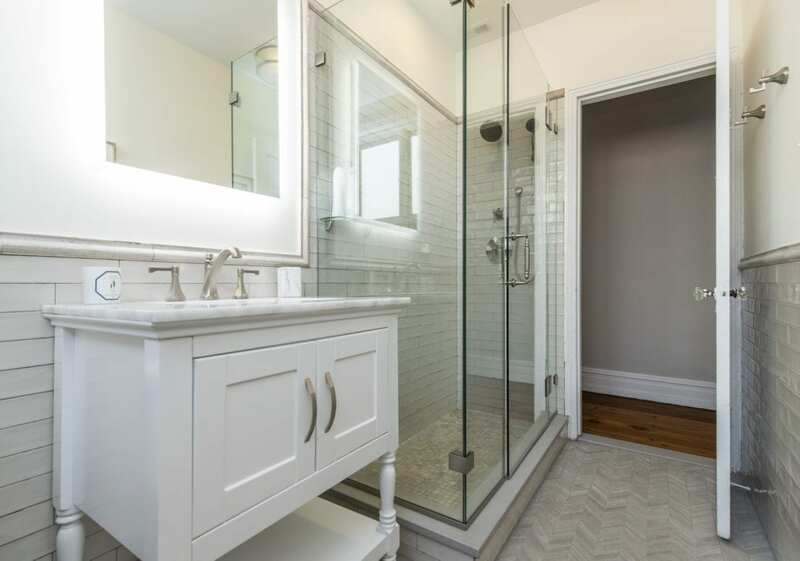 The 2nd level features the master bedroom & bathroom suite. 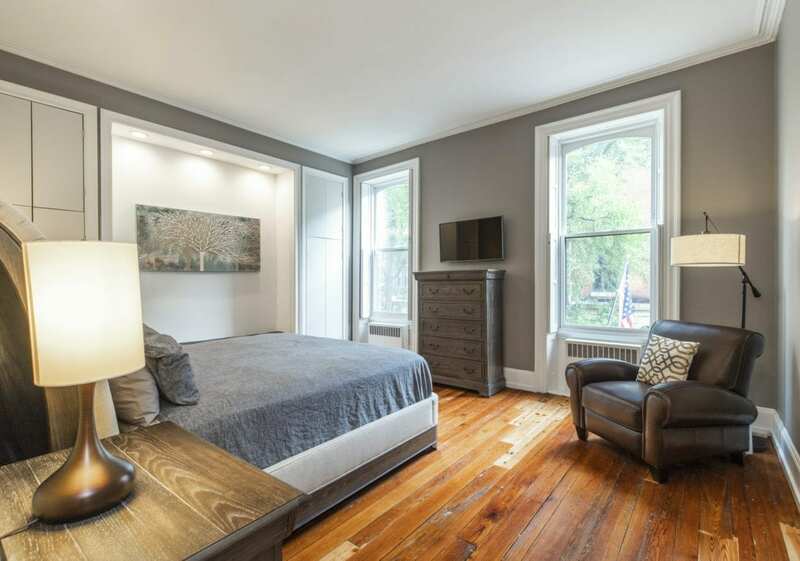 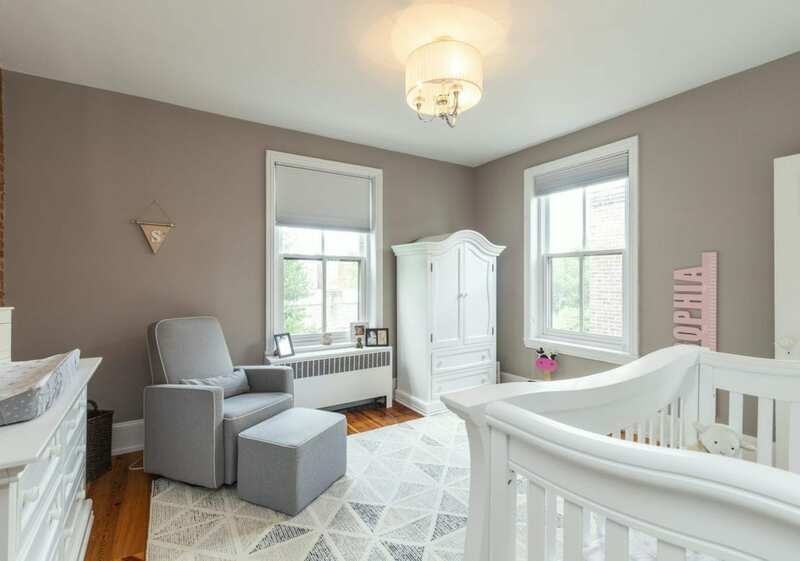 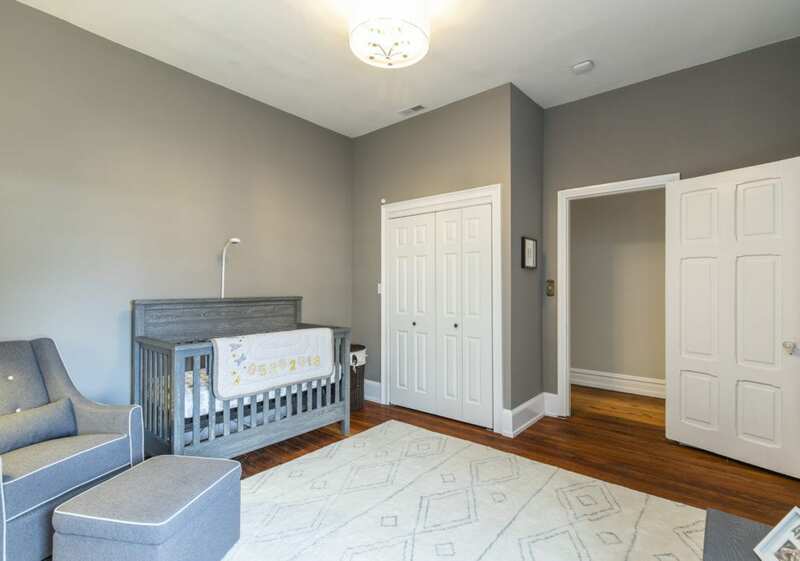 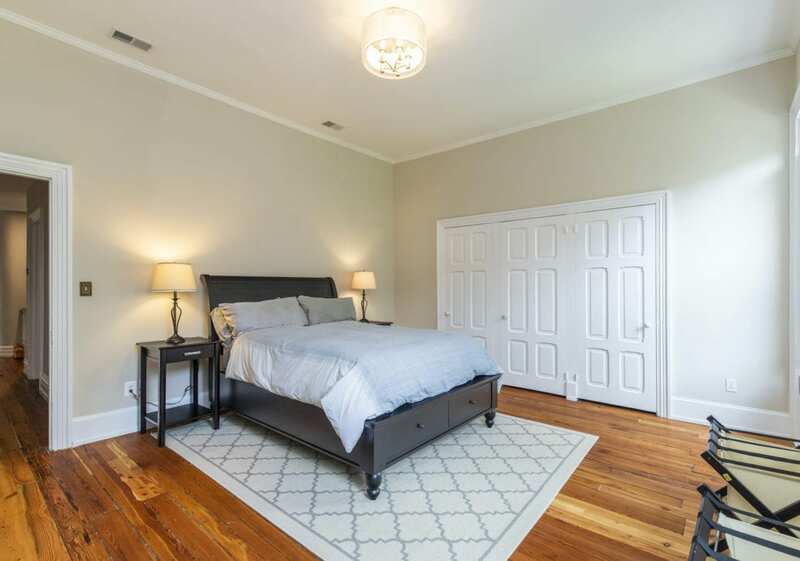 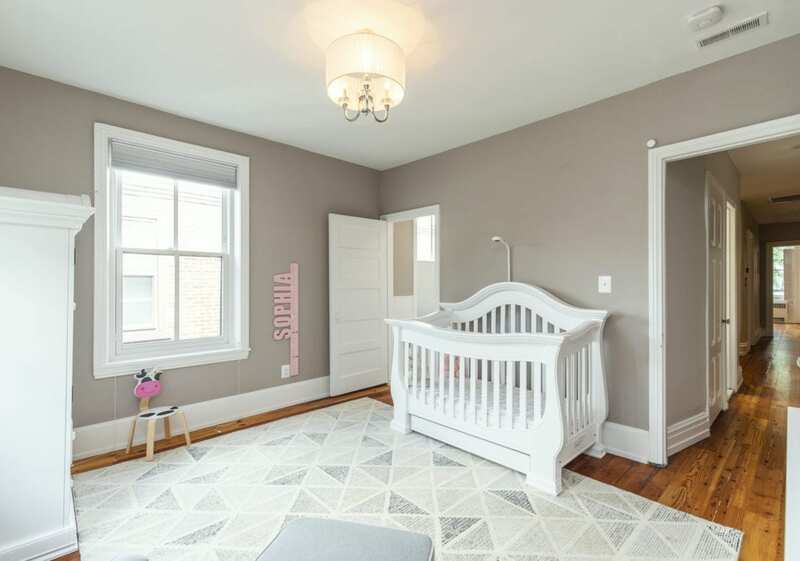 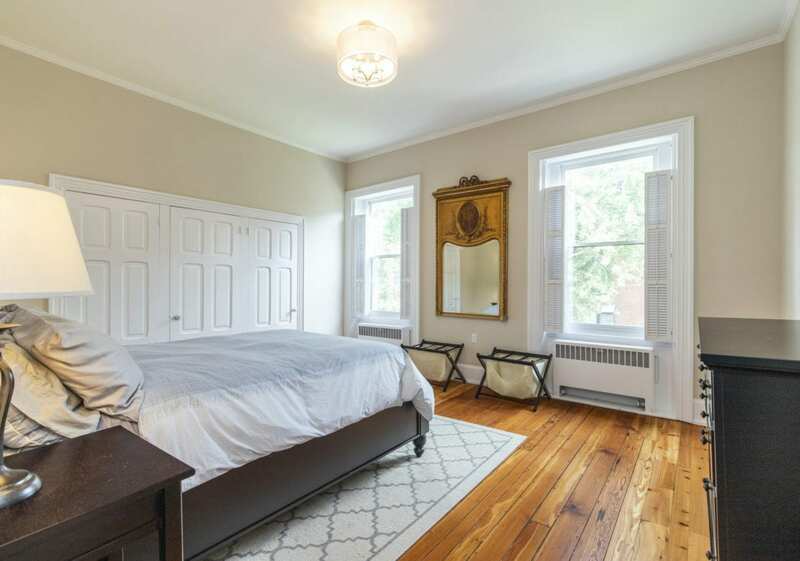 The master bedroom is located in the front of the house overlooking Delancey with a custom lounge bench and duel-sided closets for additional storage. 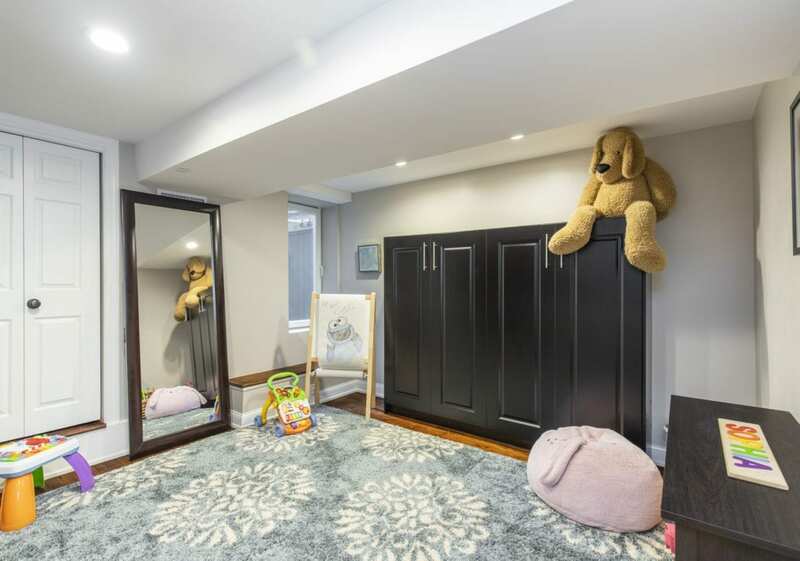 The hallmark of the master suite is the oversized master dressing room – custom outfitted by California Closets with island, built-in vanity, designer carpeting and chandelier. 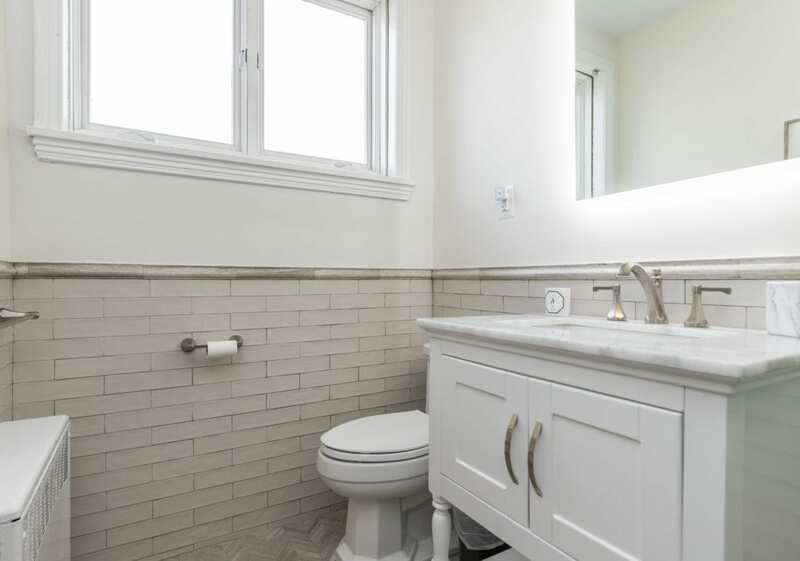 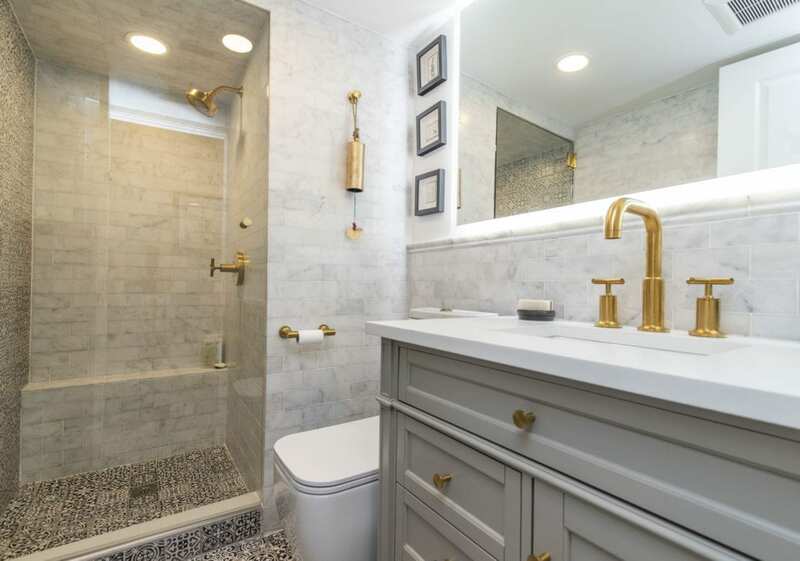 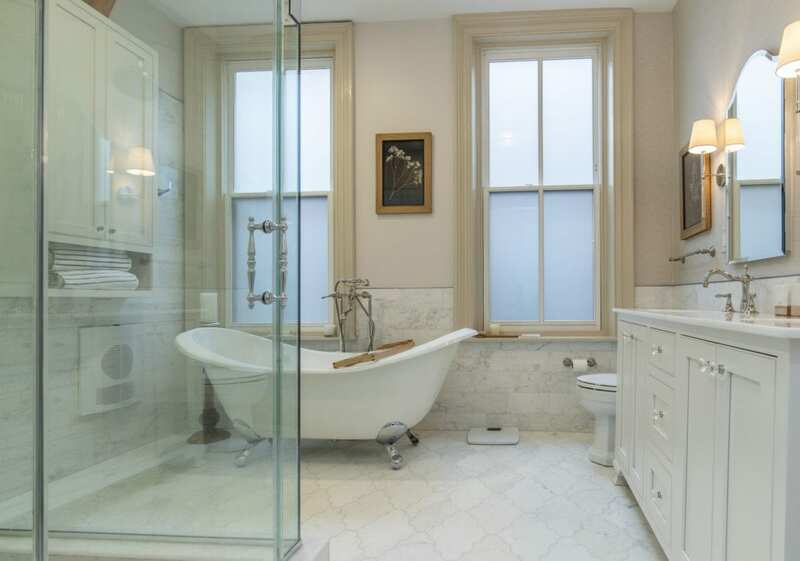 The master bathroom features hand-cut marble tiles on the floor and walls, seamless glass shower, 72” claw foot tub, duel vanity, and radiant heating. 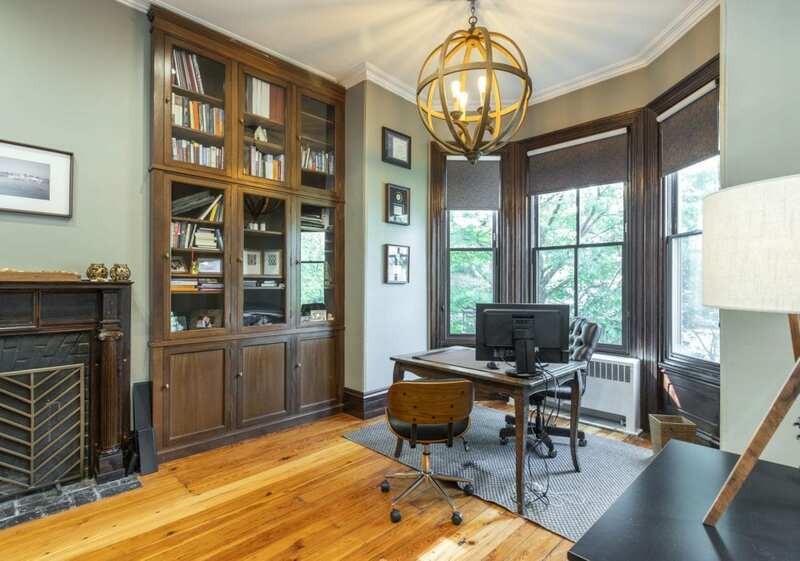 Also on the 2nd level is a handsome den with beautiful built-ins, wood-burning fireplace plus a bay of windows. 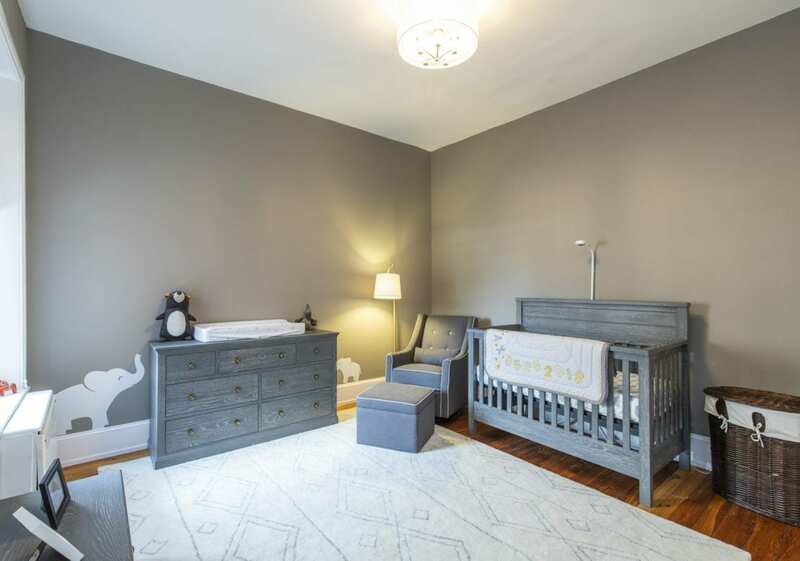 The 3rd level features 3 spacious bedrooms plus 2 gorgeous bathrooms. 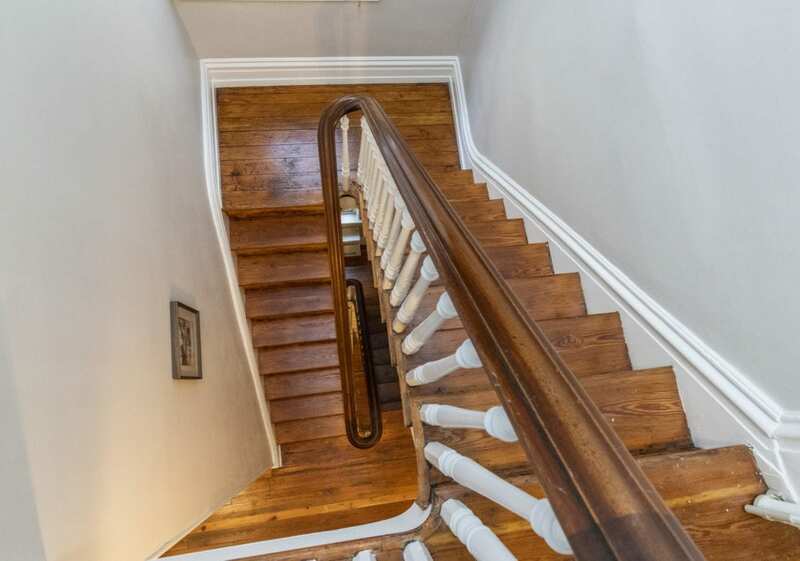 The lower level of this property is stunning. 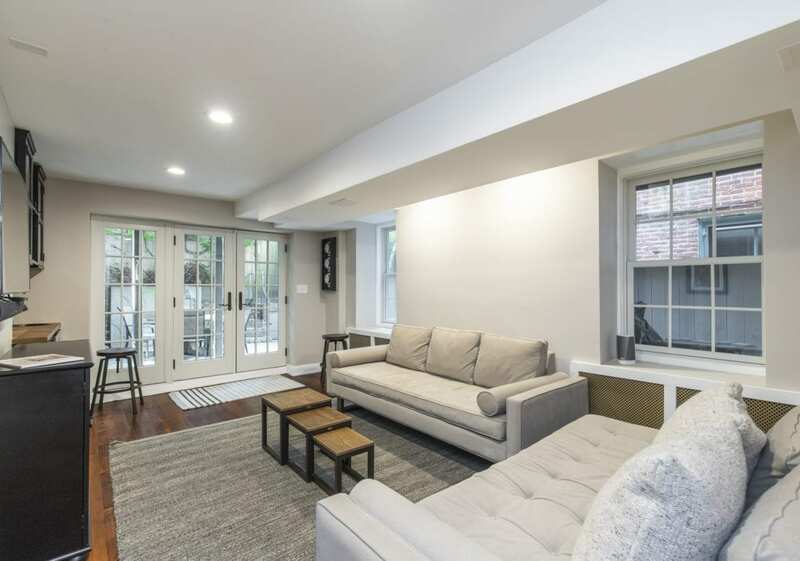 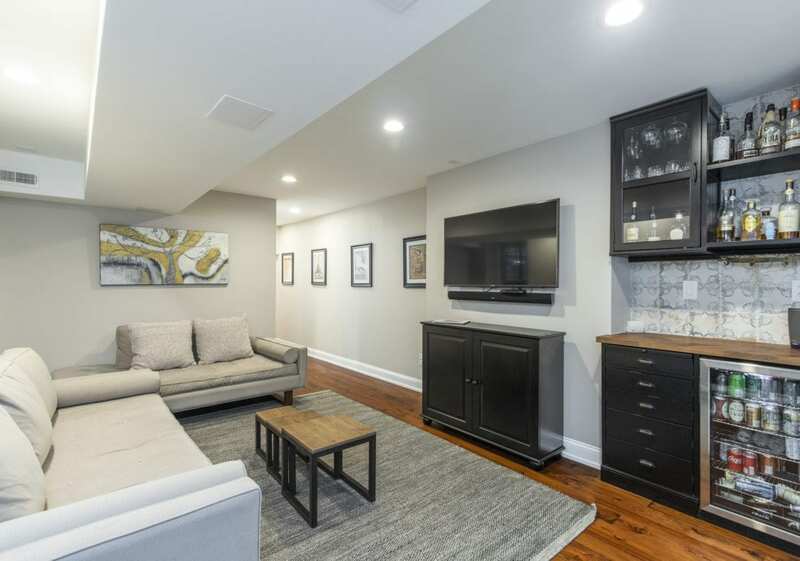 The back is a wonderful family room with custom wet bar with mini fridge and extended length French doors that lead out to the garden terrace for easy indoor/outdoor entertaining. 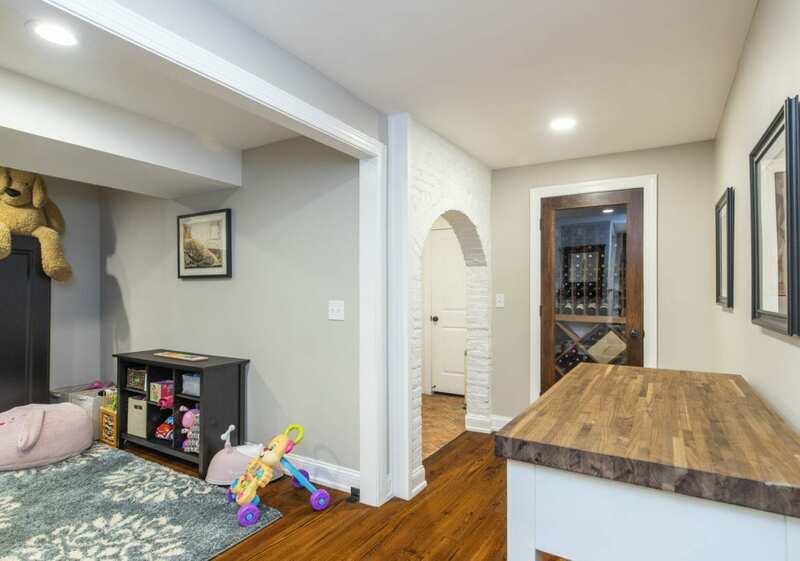 The lower level also features a bonus room ? 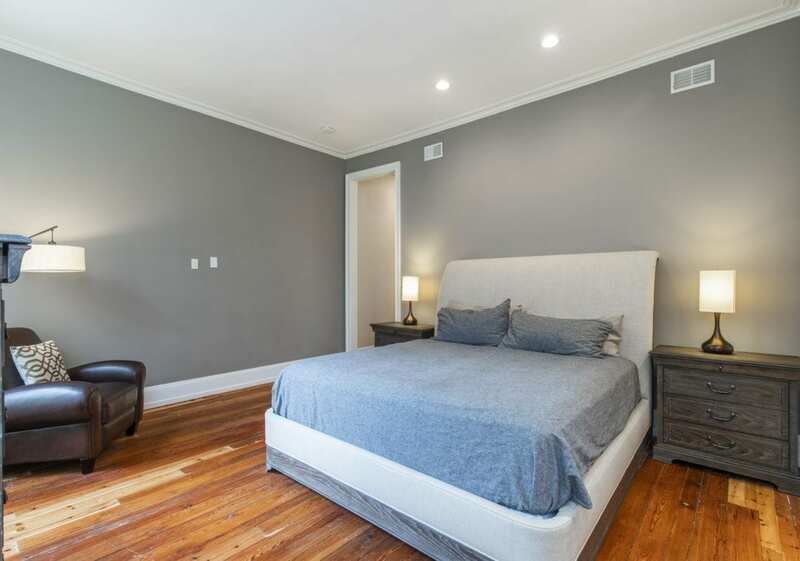 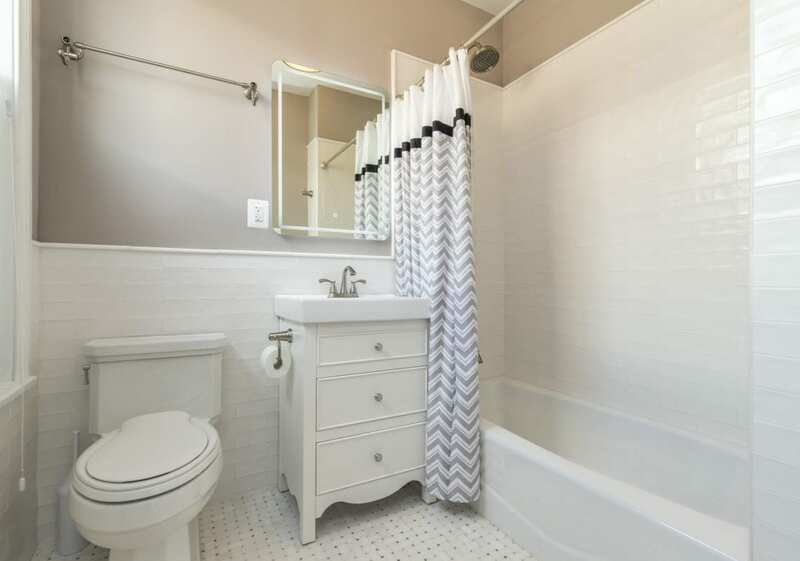 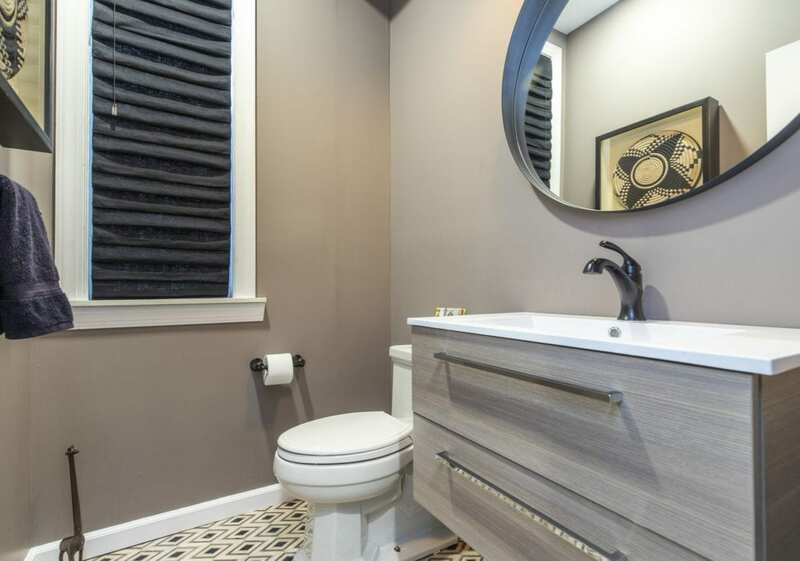 used as you need (playroom, gym, office) with a murphy bed for use as a guestroom, plus a stunning guest bathroom with glass enclosed stall shower, Spanish tile surround, and single vanity. 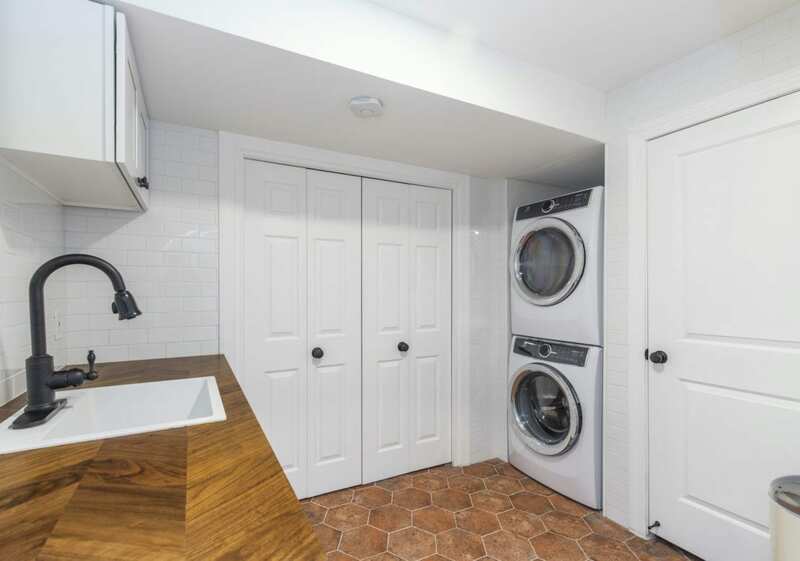 Also on this level is a laundry room with stacked Electrolux washer & dryer, sink and custom cabinetry & dry racks, plus a lighted wine-closet with lockable see-through window. 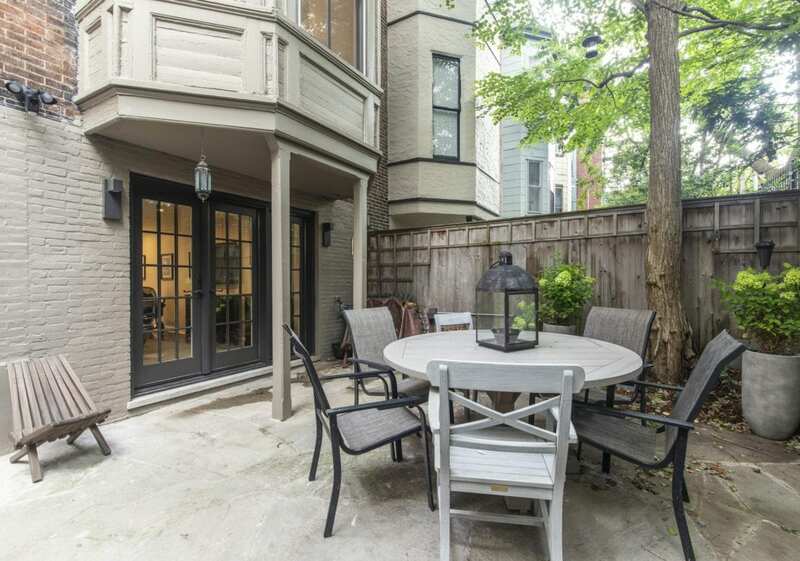 The garden terrace is not to be missed ? 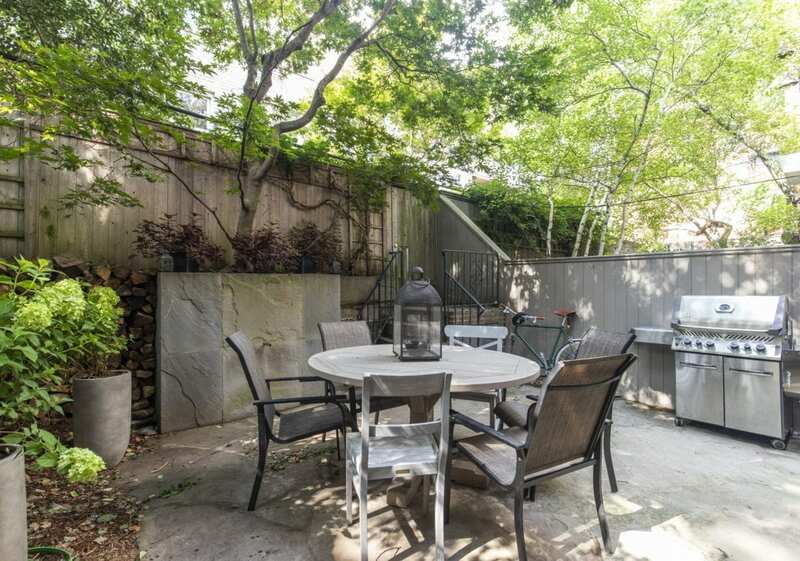 lush greenery, including a Japanese maple, make this a serene oasis from city life. 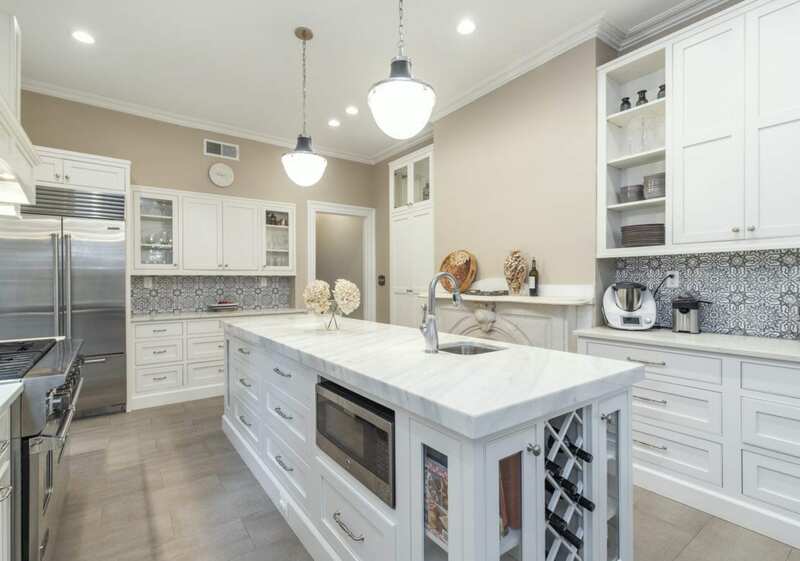 This house was upgraded with the modern owner in mind using the “Rolls Royce” of home connectivity devices.